With the Amazon Fire release date being today, you may be wondering what the best tablet out there is right now! Which is best will of course depend on you. We’ll tell you the features and you’ll make the choice. They’re all good pieces of equipment in the end, but the prices do vary significantly. Free 5GB storage on Amazon’s cloud storage! Amazon is currently selling the VIZIO E550VL 55-inch Full HD 1080p 120Hz LCD HDTV on sale! You can find the VIZIO E550VL ON SALE here at Amazon for $898 with free shipping by clicking here. This is a great discount and deal for the Vizo E550VL! 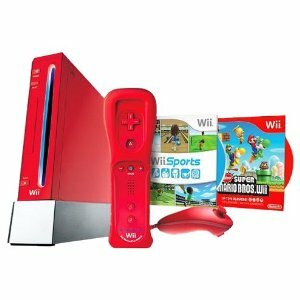 You can buy the Red Nintendo Wii Package from Amazon by click here.